DESTIN — Capt. 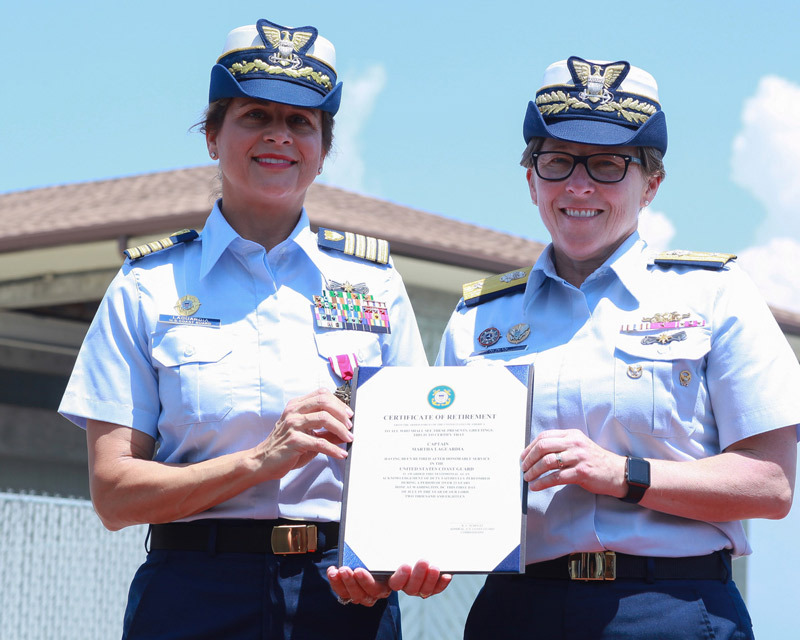 Martha J. LaGuardia’s career ended earlier this month where it began 33 years ago, at Coast Guard Station Destin. LaGuardia moved to Destin from California with her family in 1975 — two years before Station Destin was commissioned — when she was in fourth grade. Several years later, as she was pondering how to chart a course for her future, her father suggested that one of the military service academies might be a good option for getting both an education and a chance to see the world. Then a student at Fort Walton Beach High School, LaGuardia applied to all of the service academies, but did not get an appointment. She wound up at Auburn University, but didn’t give up on her father’s suggestion. She applied to the Coast Guard Academy — which, unlike the Air Force Academy, the Naval Academy and West Point, doesn’t require a congressional appointment — and was accepted. “I never came back home,” she said. She earned a bachelor’s degree in government at the Coast Guard Academy, and began working as a public affairs officer. Her first assignment came in the aftermath of the massive 1989 oil spill in Alaska’s Prince William Sound when the tanker Exxon Valdez ran aground. 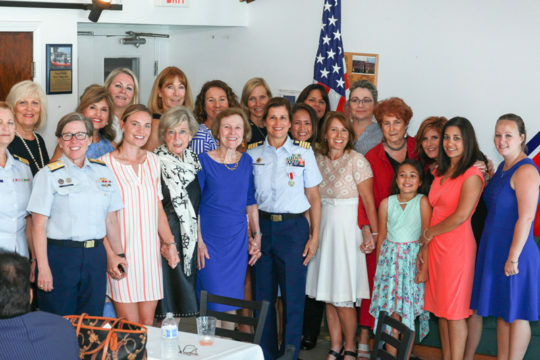 After transitioning to the Coast Guard Reserve in 1999, LaGuardia would find herself doing public affairs and liaison work as part of the Coast Guard’s role in a number of other historic events. Her first Reserve assignment was the 1999 plane crash off the Massachusetts coast that claimed the life of John F. Kennedy, Jr. and his wife and sister-in-law. She also worked in connection with the 2010 Deepwater Horizon oil rig explosion and subsequent oil spill in the Gulf of Mexico. And, LaGuardia was also on hand for Hurricane Sandy, which caused $70 billion in damage along the East Coast in 2012. After leaving active duty for part-time work in the Coast Guard Reserve, LaGuardia transferred her public affairs skills into work with a technology-oriented public relations firm, where she worked with clients like IBM. 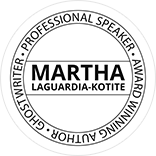 Seeking to boost her writing skills, she earned a master’s degree in journalism from Harvard. Whatever her future may hold, LaGuardia’s experience in the Coast Guard, and the confidence it gave her, will play a role. “I have achieved things in areas I didn’t even know about” before becoming part of the Coast Guard, she said.